Stuart Sully from G&S PLUMBING & HEATING SERVICES LTD, won the Plumbase iT500 sales competition. 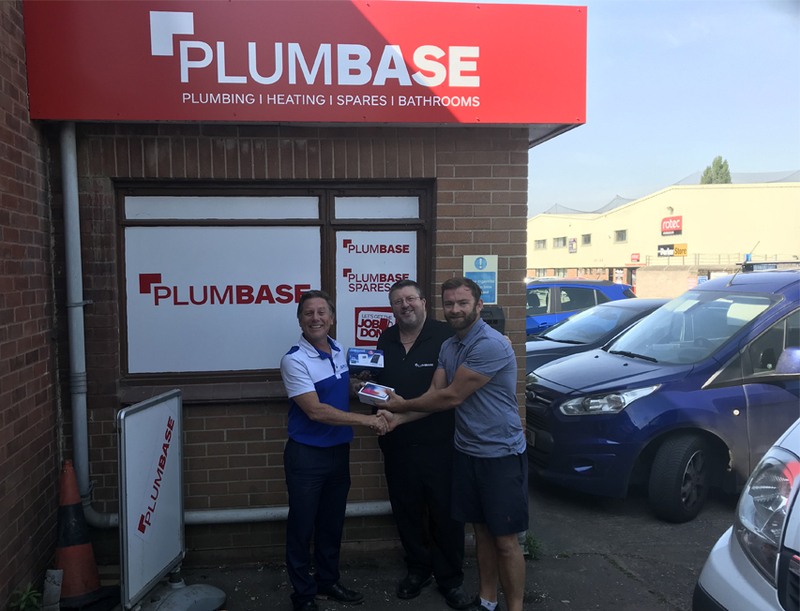 He was presented with his iPhone X prize, by Mathew Edwards (Regional Account Manager at SALUS Controls) and Steve Conibear (Branch Manager at Plumbase Taunton). Well done to all who entered and congratulations to Stuart Sully!